Tijms, H.C. (1973). 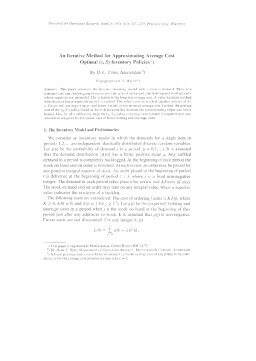 An iterative method for approximating average cost optimal (S,s) inventory policies. Zeitschrift für Operations Research, 18, 215–223.